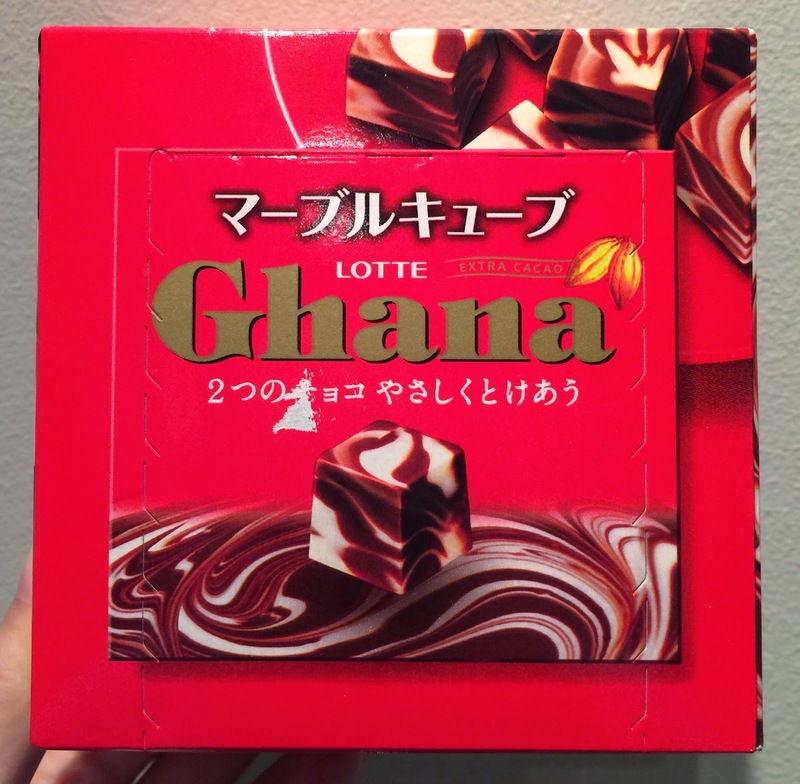 Lotte launched "Ghana Marble Cube" on November 25, 2014. 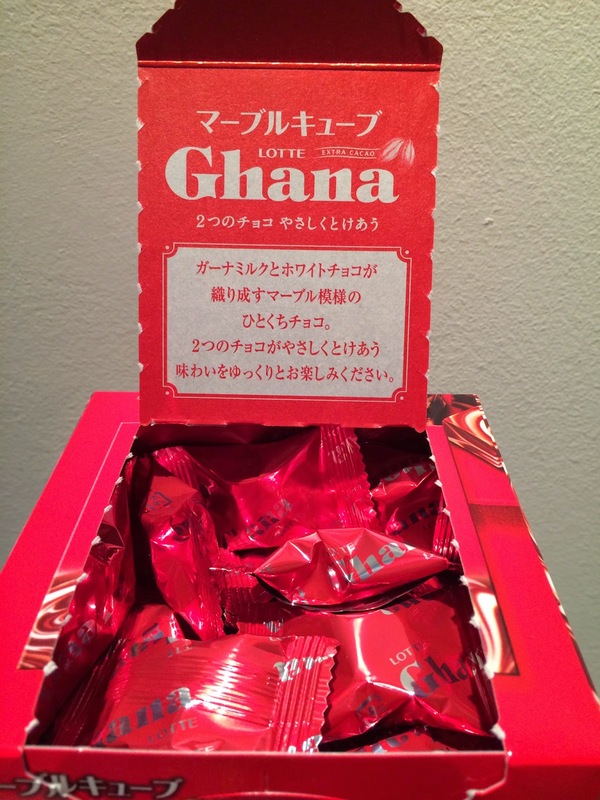 The box was mainly red, like Ghana chocolate bar, and milk and white chocolate marbles were everywhere. On the back, it explains this chocolate. 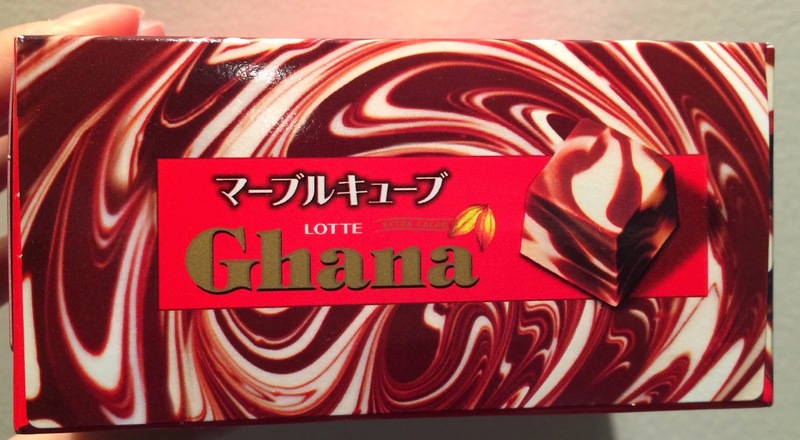 "A bit size chocolate cube with marble patterns created by Ghana Milk and White Chocolate. Please enjoy the 2 chocolate melt together." Inside, there's the same sentence that was written on the back. 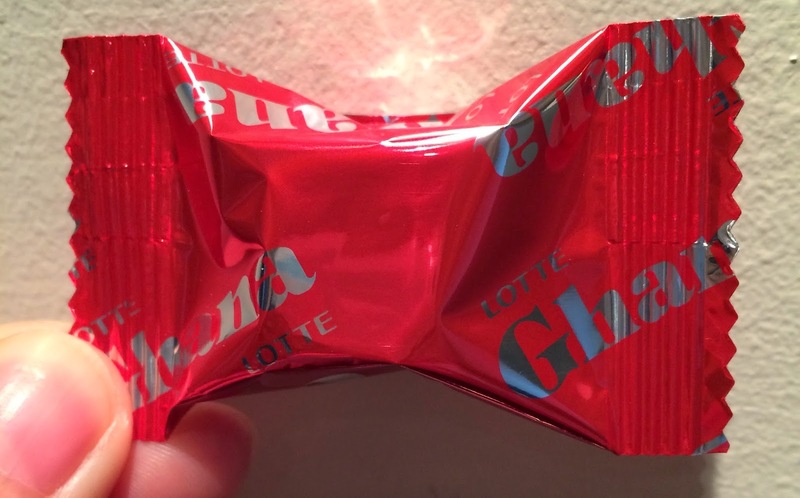 Each chocolate was wrapped individually, and the shiny red pouch had Lotte and Ghana logos. 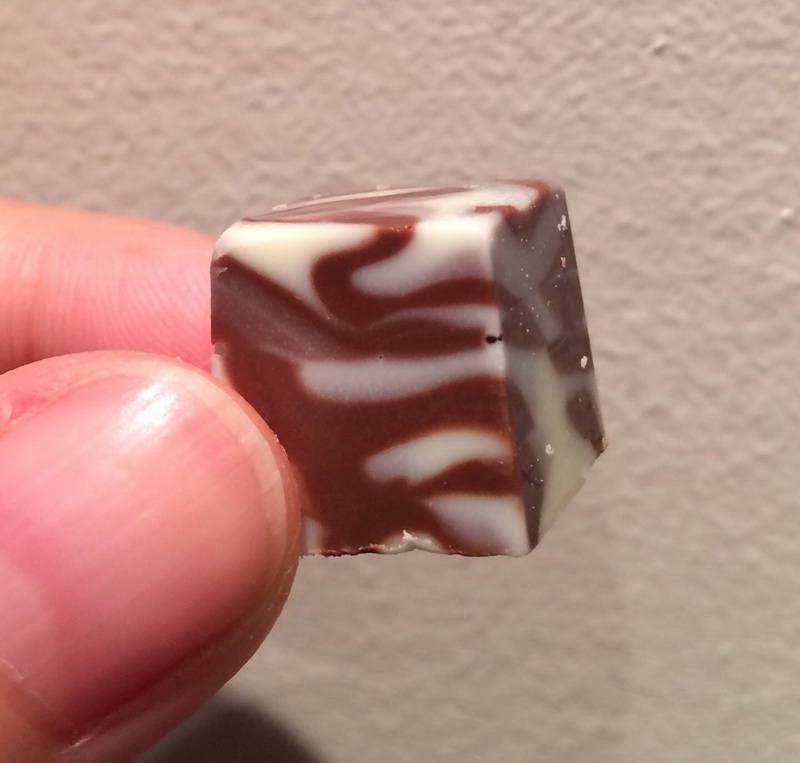 The chocolate cube had skinny marble patterns like the box shows, and the chocolate was soft enough to bite it easily. 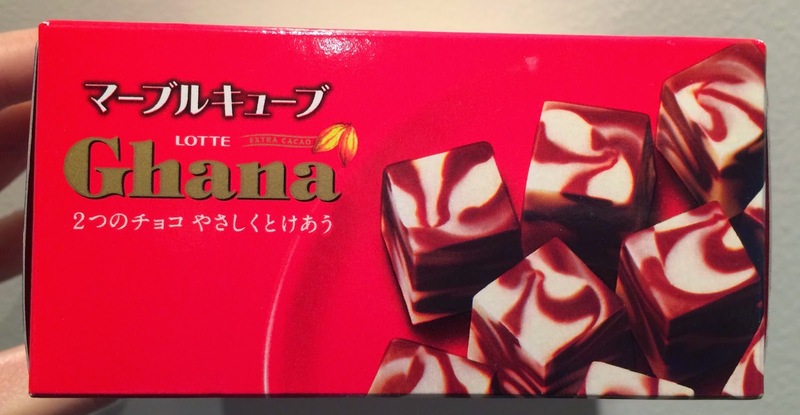 It had white chocolate flavor, but as it's mixed with milk chocolate, the flavor wasn't that intense when they both started melting.